Tag Archives: Sopwith Strutter biplane 1916. 16th AUG.1916: ‘HOW HARD IT WOULD BE TO LET YOU GO AGAIN’. Lower Largo Harbour & Pier, Fife, Scotland. LETTER to Pte BERTIE HIBBETT, The Cenacle Red Cross Hospital, New Brighton, Cheshire. At last the weather has broken & today is very stormy with heavy rain, but even as I write it is brightening as though to clear. Ark Royal. First British sea-plane carrier. Just opposite our window, this morning, is the ship (2) which is the base for Hydro planes, of which we saw two yesterday (3). I was very pleased to get your letter this morning, but is it not easier for you to write in pencil? You will be thinking she takes a lot of pleasing – it is either “too good” or “too tired”, I know. But really it is “too good” this morning. I am sure it required a great effort & you know you need not exert yourself to do all your level best writing for me. I can quite understand your feeling of depression, in fact, I have been expecting it when you settled down by yourself. You see you have had a string of excitement up to now, & less time to brood. I wonder if the time will come when you would like me to come up, & I wonder if it did whether you would say so. I wonder! Would you? And do you know it would give me great pleasure to do so in that case? I can well understand that your thoughts go out to the ‘Boys of the Staffords’ & that you feel very much drawn to them in the grand work they are carrying on. But my dear Boy you have nothing to regret – your part in this great task has been long & splendid. Have you ever thought how hard it would be to let you go again? I do hope you will have a bit of good news from the Matron you wrote to – yes we will keep on praying hard for dear Sydney – I always wake to wonder if we shall hear today. Now, dear, you must not feel that you must answer when I write, but, as per usual, write just when you want to. If I write too often or too much you may tell me. You will tell me all you learn about your arm, won’t you? & “anything and everything”. PS Mrs Gorrie (4) sends her love to you & says she is thinking about you & how you will miss all your people. Almost as soon as he arrived at The Cenacle Hospital, Pte Bertie Hibbett began to write letters in search of his brother Sydney, missing since 1st July. He appears to have written to the Hospital Matrons he had met in France, at Le Treport & Rouen. My father was very fortunate to have a Godmother, like Mary Foster. From the beginning her kindly character shines through in his Letters Home – now we are able to see first-hand how wise and understanding a friend she was. She recognised his need to confide his sorrow to someone, other than his immediate family, and to tell her ‘anything & everything’. He also appears to have been experiencing what is now known as the ‘guilt of the survivor’ & the feeling he must get back to help his pals, ‘The Boys of the Staffords’. 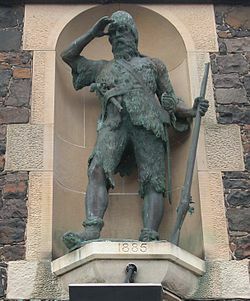 Statue: Alexander Selkirk, Lower Largo. 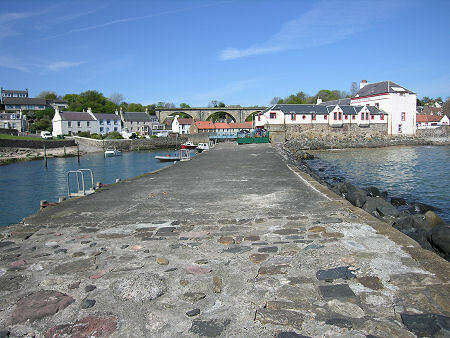 (1) Lower Largo, Fife: village in Largo Bay, Firth of Forth, Scotland. Birthplace of Alexander Selkirk, marooned 4 years on Juan Fernandez Island (South Pacific Ocean, 416 miles off coast of Chili). Inspiration for Daniel Defoe’s ‘Robinson Crusoe’. (2) H.M.S. Ark Royal was the first British sea-plane carrier. Launched 5th Sept 1914. Supported troops in Gallipoli 1915 & Macedonia 1916. Unlikely to have been in Largo Bay in 1916? (3) Hydro planes: British Sopwith 1½ Strutter (named after long & short cabane struts supporting wings). A squadron of biplanes was created in 1915-1916 to patrol Firth of Forth & North Sea against German Assault. 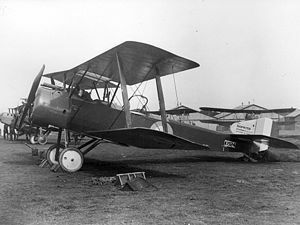 First British aircraft to have synchronised machine gun to fire during battles without hitting the blades. In WW1 the French built twice as many Sopwith Strutters than the British. 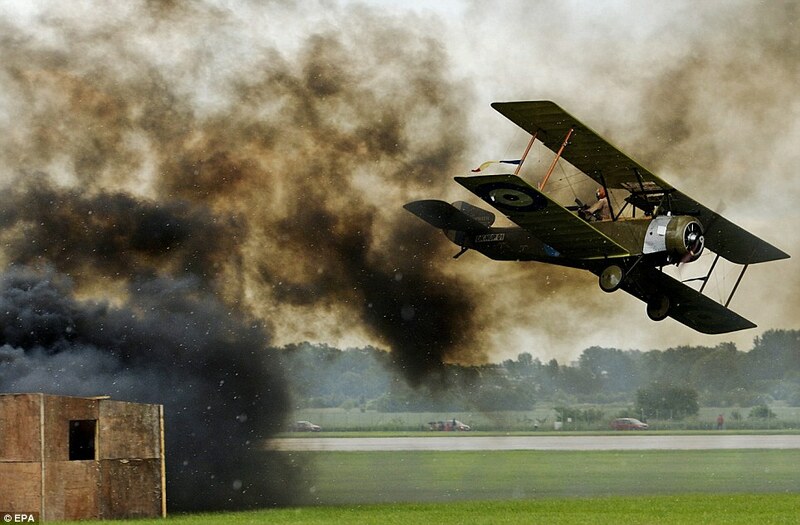 Aviation Fair Prague Czechoslovakia.WW1 Sopwith Strutter in action. Note Gunner. 2014. 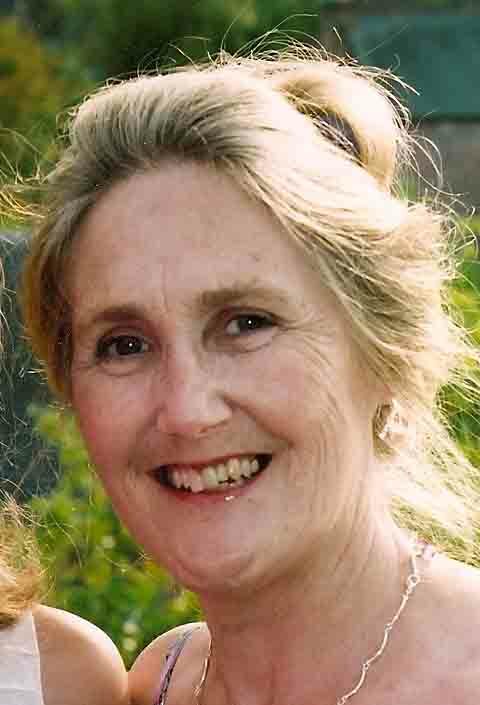 (3) Mrs Gorrie (old Scottish name) possibly No 12 Drum Park Guest House Landlady. Mary Foster often spent her annual holiday in Scotland. NEXT POST: 17th Aug. 1916. Message from 1/5th Staffords Platoon Serjeant. Alexander Selkirk Largo Fife.Ark Royal Sea-plane Carrier.Aviation Fair Prague Czechoslovakia.Daniel Defoe.French Aircraft Carrier 1914.Hydro biplanes 1916.Lower Largo Firth of Forth Soltand.Sopwith Strutter biplane 1916.